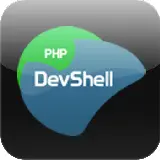 PHPDevShell Hosting Plans to Suit Your Needs. Choose Any location to host your website with us in just $1/Month. We at Hostdens always believe that web hosting should be fast, reliable, simple and affordable. We have started this web hosting venture to support the ever growing online business and meet the expectations of business users at an affordable price. Web hosting services offered by Hostdens comprises of technology, uptime and 24x7x365 exclusive customer support. We are competent to offer hosting services to all sectors and businesses of all sizes. We have product and service offerings from basic hosting account to complex dedicated server clusters on multiple platforms. Hostdens! - the only web hosting plan you will ever need. Register a FREE Domain of choice by opting to pay annually or biennially for ENTERPRISE cPanel Hosting package! Unlimited POP3 / IMAP email accounts with Webmail support which lets you access emails anywhere, anytime. All our cPanel Hosting packages are covered under an unconditional 30 Days Money-Back Guarantee. Rest assured you are in safe hands with Hostdens because we deliver guaranteed 24x7x365 days real-time technical Live chat and Email support. We thoroughly examine every person in staff and recruit only that person who has the proper knowledge that is required. That is why our technicians are very skilled and know what they do. Softaculous is a great Auto Installer having 350+ great scripts, 1115 PHP Classes and they are still adding more. Its a effortless web application installer script-library, with free applications readily available for installation just by one-click for Blog, Forum, CMS, Shopping Carts, Image Gallery and many more just a click away! DirectI is one of the worlds leading registrar. On all of the hosting plans and billing cycle you get DirectI Domain registrar reseller account for FREE which costs more than $200. By this account you can register domain name for almost all type of domain extensions on your own. You can set your own pricing for the domains and further sell it to your clients. Hostdens utilizes CloudLinux Kernal on our Linux shared web-hosting environments to improve the stability, performance and security of our server. You can now enable number of Powerfull services like Cloudflare, Attracta(SEO Tools), SiteApps Optimization Command Center for the SMB Website and many more right from your Hostdens control panel. Are you dissatisfied with your current web hosting provider and looking forward to move on? Sign up with us and our Skilled technicians will migrate your data free of cost in an efficient and seamless way without any data loss. We make available the latest, most stable and the most compatible versions of PHP & MySQL on all our servers. Signup with HostDens for VPS and was worried about the data migration from my old VPS server. HostDens has done it free of cost and that also in quick time. Thanks guys for great support and response. Thank you once again. When I first visited the HostDens site and saw the hosting plans I thought there must be a catch. But I wanted to give it a try and was amazed by their service. They have all the features of modern webhosting. The speed is also pretty fast. Their uptime is above 99.9%. I am just amazed by their service. Good thing is about HostDens is highly experienced technical ticket support and Live chat support. The other better thing for me that, their support helped me when I messed up my sites. Previous hosts I used just answered 'Its your problem, you have to solve the it', but HostDens support takes just a deep breath and gets me out of my self-inflicted problems.Highly recommended!